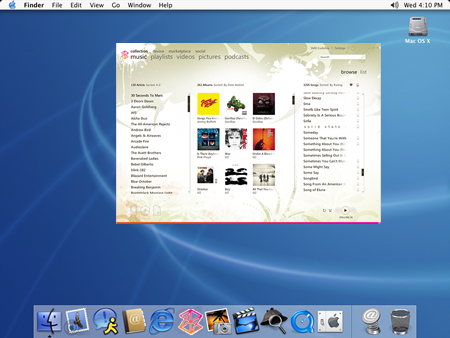 "I know it sounds crazy but I think Zune should seriously consider rolling out Zune for Mac program. Let me tell you why. First off, a lot of Mac users are tired of the iPod. Most Mac users have probably owned at least 2 iPod’s at this point and would probably be interested in switching over to another player. If for no other reason, just to give it a try. Second, Mac owners like to think they are different. I think Zune could pray on Mac users counter culture sensibilities." Stefan, I like your spirit, I really do! But I really wonder if there are a lot of Mac users who are tired of the iPod and wanting to jump ship to the Zune. I have to be honest. I just don’t see it happening. Apple market share is only around 7% anyway. Even if a generous 50% of all Mac users wanted a Zune that only accounts for a miniscule part of the market.